Holiday food background for baking gingerbread cookies with cutters, rolling pin and spices on table top view.Christmas recipe. 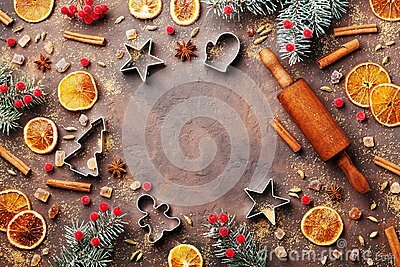 Holiday food background for baking gingerbread cookies with cutters, rolling pin and spices on vintage table top view. Copy space for christmas recipe.